Take the next "step" during your company's promotional campaign by selecting this great item! 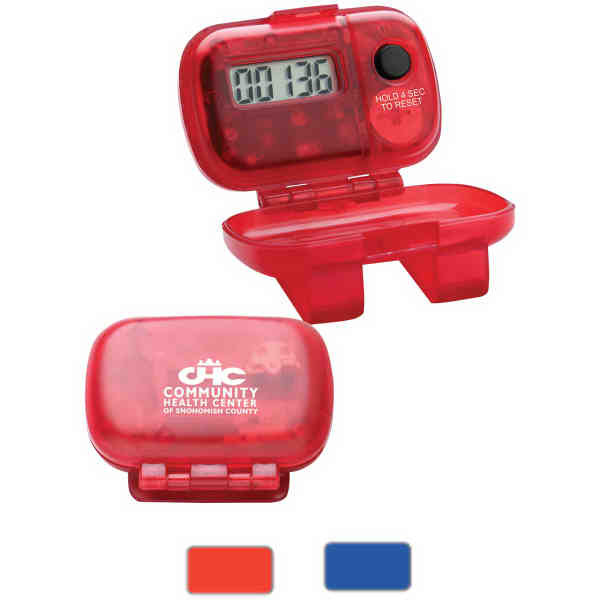 This economical single function step-counter pedometer features a protective hinged cover and cop on clop back. Includes a white box with batteries. It's an ideal promotional item for those in the health care profession who are concerned about their patients' physical well-being. What a wonderful pick for upcoming tradeshows and conferences. Size: 2 " x 1 1/2 "